OK, so I decided I would finished them tonight after all. Despite all of my swearing and protestations, I would be lying if I said that I wasn't really, really happy with them. And just in time for my visit to Bulis tomorrow! Having said that, I don't know if I'll do them again any time soon. Ni la menor idea! Unfortunately, my knitting obsession comes at a time when I'm not speaking a lot of Spanish... I'll do some research and see what I find! 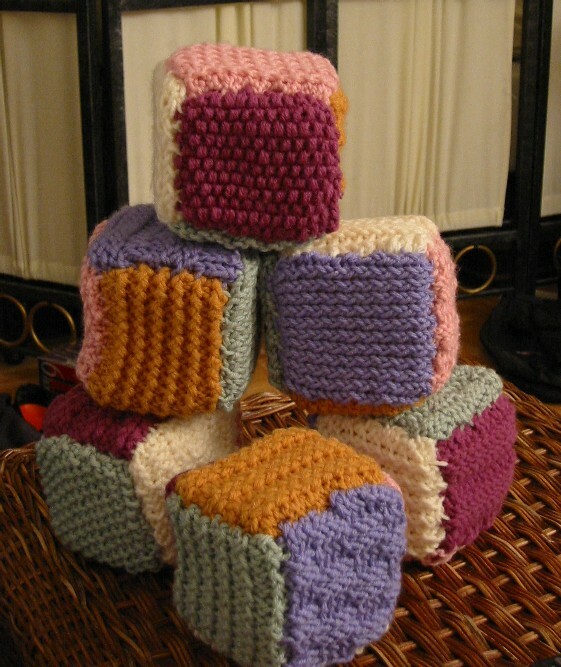 Shannon - the baby cubes are incredible!!!! i am expecting a pair if I ever have a little one!